Meghan McInerny is the COO at Clockwork, a Minneapolis-based digital marketing company that helps companies focus on vision and strategy. At work, Meghan's hallmark is her ability to get things done—and have fun doing it. 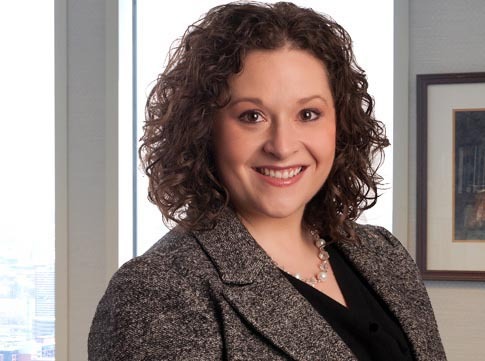 When Meghan experienced a life-changing event, she turned to Maslon estate planning attorney, Diana Marianetti, to assist her young family with a needed estate plan strategy. Diana quickly determined Meghan's needs, drafted her will and helped her update her beneficiaries, created a power of attorney and health care directive, and helped her make decisions for her children's future in the event Meghan was unable to make those decisions. In Meghan's words, "No one wants to think about what will happen if you become incapacitated or die. But, over the last four years, I've learned that life-changing [events] happen real fast. And after [events] happen is the wrong time to figure things out. So I reframed it not as a depressing item to think about, but as a gift I was giving to my children, my mom, and my siblings. The gift of clarity and taking care of the people dear to me even after I'm gone." Diana helped Meghan define priorities and accomplish her goals. As a result, Meghan has peace of mind her young family's estate is in order.